Ventilation of electrical room or transformers room is necessary for changing air that is polluted and heated. Some components works at specific temperature. Ventilation of electrical panels room maintain this temperature. 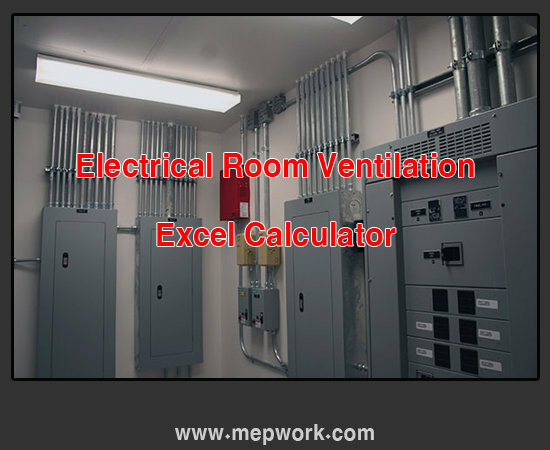 We provide you with excel programs for calculating ventilation fans requirements for transformers and electrical panels room. As an HVAC engineer you will need also Generator Room Ventilation calculation spreadsheet and design calculation excel sheet for Car Park Ventilation systems. Ventilation of electrical rooms are very important for building operation, providing a hub to supply electrical power for equipment.